Only two kinds of electronic devices exist in this world: the kind that have been scratched and the kind that are gonna get scratched. A scratch or nick on your budget laptop may not bug you, but on your pristine $1,900 brushed-aluminum Microsoft Surface Book… that hurts. Enter Toast’s custom wood covers. Long available for most models of Apple laptops, as well as the Surface Pro line, Toast’s covers now also fit the Surface Book. 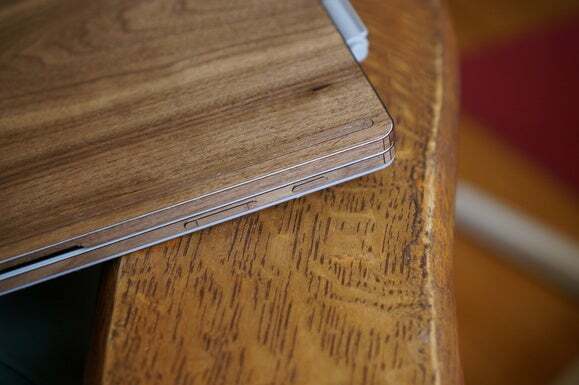 The Toast covers come in walnut, ash, and “ebony” wood veneers, as well as bamboo. And if you care about such things, the company says the wood is sourced from responsibly managed forests in North America, while the bamboo is from sustainable sources in Asia. 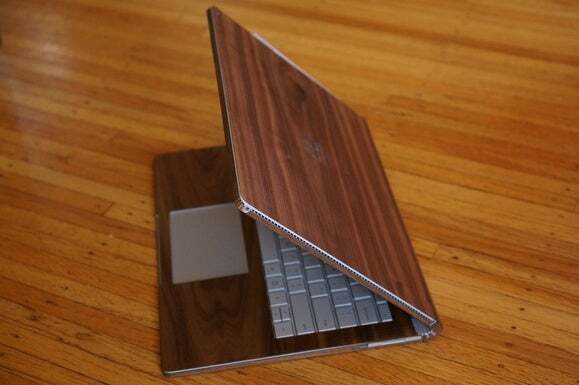 A full kit for the Surface Book can cover the top, the bottom, the sides, and the keyboard deck. Toast sells the pieces separately, which may seem annoying if you expect a full set, but it means you can buy replacement sections, too. (Amazon sells all the parts together for $105). The Surface Book kit I installed included a top, bottom, and keyboard deck cover. 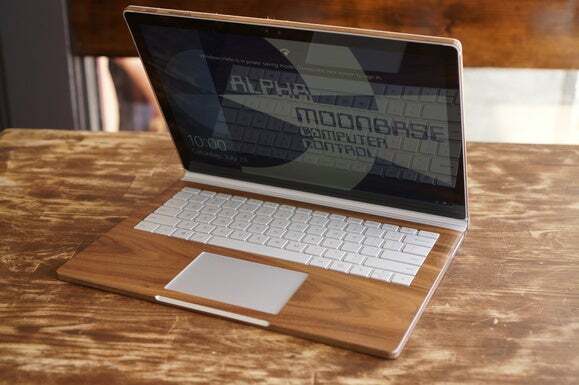 The wood and bamboo sticks to your laptop using a super-strong 3M adhesive. Different sections appeared to use different strengths of adhesive—I’m guessing because some parts may be more prone to detachment. 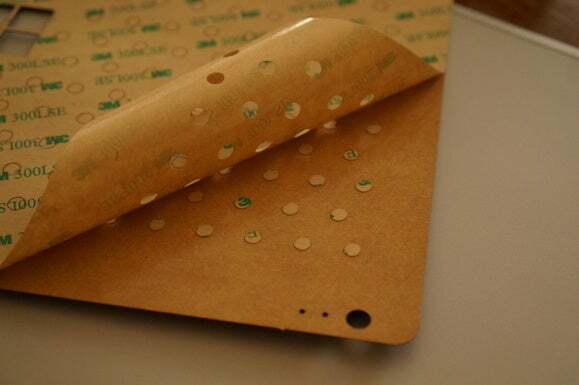 Should you choose to remove part of the cover, tiny holes punched into the adhesive make that possible. You just need to first heat up the attached cover with a hair dryer. Don’t be disturbed by the little holes in the adhesive backing—they’re there to make removal possible. If you’re the kind of person who drinks 10 cups of coffee a day and never, ever successfully put the decals on your model battleship, this process may not be for you. You need fairly steady hands, patience, and maybe 30 minutes so you can relax while doing the job. Before you apply the cover, you’ll want to clean the entire laptop. Toast includes two alcohol wipes for this, but to me that seems like wishful thinking. Unless your laptop is brand-new, it’s likely covered with fingerprints and strawberry-jam smears, and may need more intensive cleaning than two tiny wipes can handle. I ended up digging into my own stash of alcohol wipes and burning four of them as well before I was satisfied that I had removed enough of the grime. This is an important step, especially on the smaller sections, as fingerprint oils will prevent the adhesive from bonding to the surface. 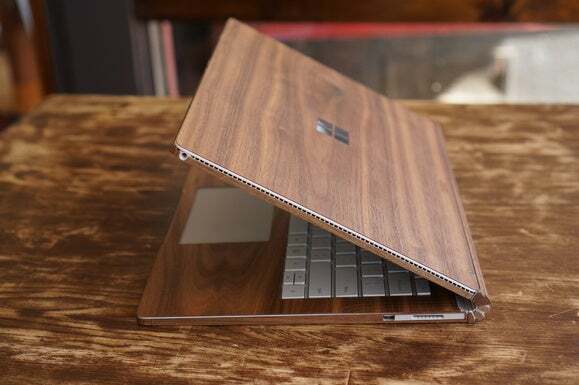 Here’s the Surface Book before applying the Toast wood cover. From there, you simply follow the instructions laid out by Toast. For the Surface Book, the top cover goes on first. It’s best not to touch the adhesive, but if you get some of its stickiness on your hands, that will help keep the cover from slipping out of your hands. Dropping a section onto a dust-covered floor could be fatal. It’s unlikely you’d ever get floor grit off the adhesive, and grinding that into the aluminum of a laptop is probably worse than not having a cover. You won’t be installing these with ease if you’re a 12-cups-of-coffee-per-day person. While installing, don’t be afraid to peel back the cover a little if it’s not going on perfectly straight. Lining things up just right is important, as the entire Toast kit is cut with extreme precision. 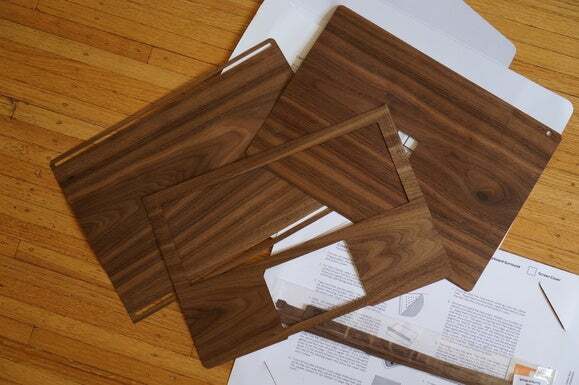 The precision of the Toast wood cover kit is amazing. 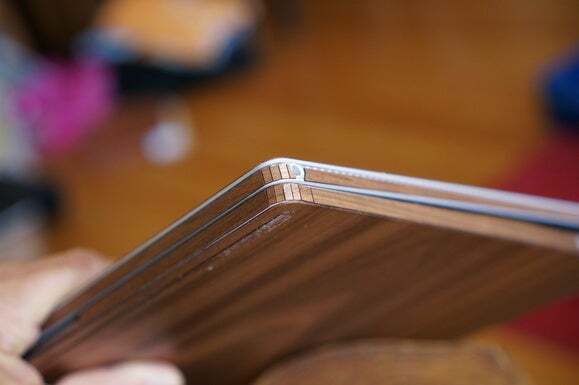 After installation, I’d have to admit I was pretty impressed by the fit and finish of Toast’s wood cover kit. 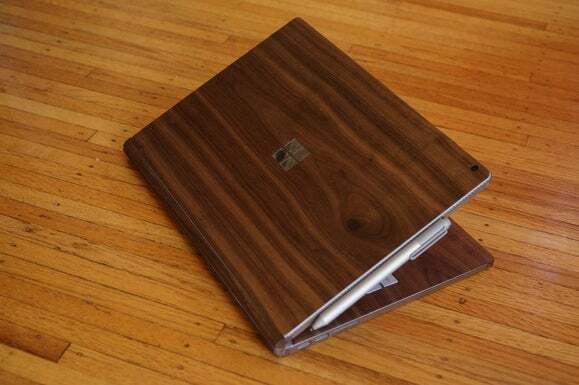 The Toast cover for the Surface Book blends in well on my hardwood floors. The Surface Book is probably one of the most unique (if not the most unique laptop) today. It has a lot of weird curves and angles to account for, and this particular cover handles them well. 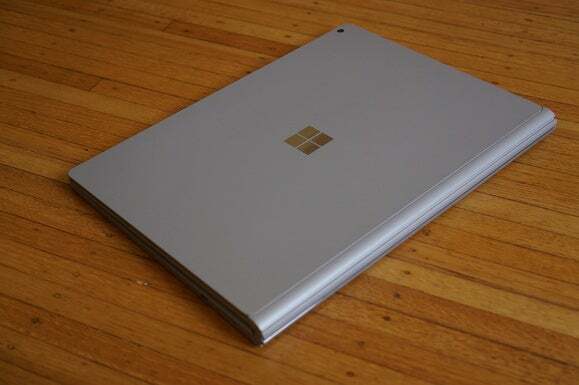 In the photo below, you can see how this cover fits the edges of the Surface Book. One of the more difficult installation challenges on the Surface Book is its crazy hinge. For that, you’ll need to install multiple thin strips across the length of it and bend delicate pieces over the corners. One concern I have about the tiny little pieces of wood is they will eventually rub or break off. However, Toast does sell the individual pieces, so at least replacing them won’t be a big deal. Not all of the hinge gets covered, though. 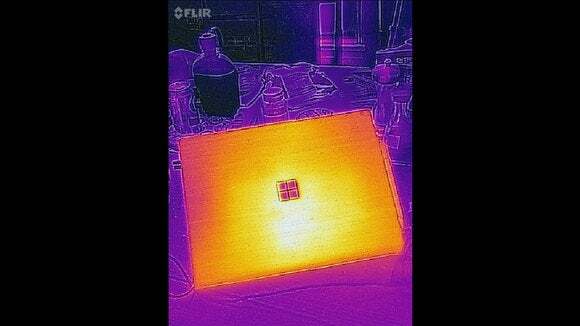 My other concern, particularly with the Surface Book, is heat retention. The Surface Book packs a lot of hardware in the super-thin tablet section, so heat dissipation is key to keeping the fan quiet. Normally some of the heat generated by internal hardware can be radiated through the aluminum chassis—aluminum, after all, is a relatively good heat conductor. But when you slap a layer of adhesive and piece of wood on there, you’re basically insulating it. Thermals with the Toast cover on the Surface Book are slightly concerning, but is extra fan noise worse than protection? Since the Surface Book is actively cooled by a fan, it won’t overheat, but it could mean the fan will kick on a little earlier than it might have without the Toast cover in place. But hey, it is called Toast, right? Microsoft’s Surface Book has formally been admitted to the pretentious cafe crowd. I’ll be honest, I didn’t think I’d be impressed by Toast’s wood cover. After I’d applied it, though, I could appreciate the precision the company puts into each part. It has to be installed with military exactness. And being an adhesive cover, you won’t get a build-up of dust underneath it that could eventually scratch the Surface Book’s aluminum surface, like you might with a snap-on cover. The only real negative—provided you don’t mind that there are only wood options—is the price. The basic kit is $69. That gets you just the tablet portion, the sides, and the hinge. The bottom cover is an oddly separate $30. The price keeps going up if you want more thorough coverage: The keyboard tray runs another $20, and the Windows logo cutout is another $5. If you want to protect just about every surface of the Surface Book, the total outlay will be $124. That’s a hell of a lot of money to shell out for a laptop cover. 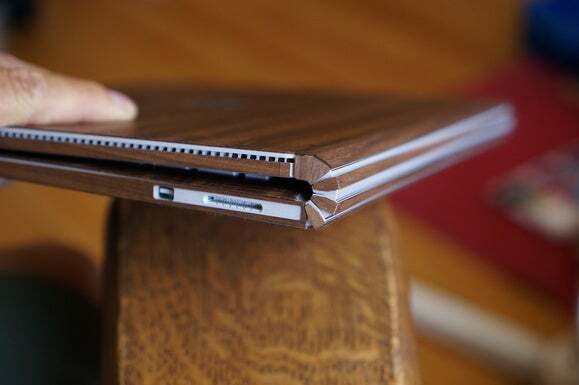 Sure, it’s not some extruded plastic cover or faux carbon-fiber sticker, but that’s a pretty penny for what some will see as wood paneling for your laptop. 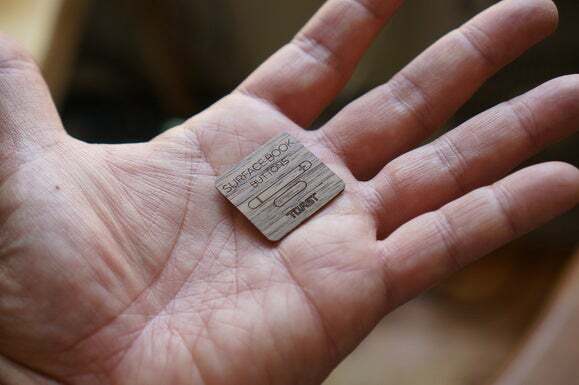 Still, its laser-cut precision and distinctive look can’t be denied, and for what you’re getting, it’s worth it when you consider the material and fit.